The future of finance—your future in finance—lies at the intersection of finance, technology, entrepreneurship, and impact. Our curriculum in all four topics can position students to move into finance positions with current employers or somewhere new. Plus, we give you opportunities to demonstrate your new skills; last year, half of our Berkeley MBA investment banking summer associate interns were from the Evening & Weekend MBA Program. You’re taught by faculty who are leading researchers or practitioners in asset management, fintech, impact investing, M&A, private equity, and venture capital, and we are ranked consistently in the top 10 for finance by U.S. News & World Report. MBA students lead Finance, Investment, Private Equity, Fintech, and Venture Capital clubs, and teams frequently represent Berkeley Haas at national competitions like the Alpha Challenge, Impact Investing Competition, Sustainable Investing Challenge, and numerous private equity competitions. As you pursue your interest in finance—and balance your work and personal life with your studies—you also have the option to engage in experiential learning courses. The first student-led socially investment fund at a leading business school, the Haas Socially Responsible Investment Fund is also the largest: more than $2 million (more than double the initial 2008 investment). As a student principal, you gain real-world experience in delivering strong financial returns and positive social impact. In Hedge Fund Strategies, student teams develop, test, and pitch investment strategies to a panel of investment professionals. Your team may continue to execute its strategy in a related course the following semester. Professor Ulrike Malmendier researches corporate finance, the economics of organizations, behavioral economics and finance, contract theory, law and economics, and law and finance. In 2013, she received the Fischer Black Prize in Economics, honoring the top finance scholar under the age of 40. Professor Xiao-Jun Zhang teaches Financial Reporting. His research focuses on financial statement analysis, financial accounting theory, and international accounting. He is a recipient of the Cheit award for excellence in teaching. David Sraer, associate professor, brings an international perspective to the core Finance course. His research interests range from behavioral and corporate finance to entrepreneurship and venture capital. Peter Goodson is a a private equity pioneer, as an early stage partner at Clayton, Dubilier & Rice, one of the first management buyout firms. He teaches Mergers & Acquisitions. 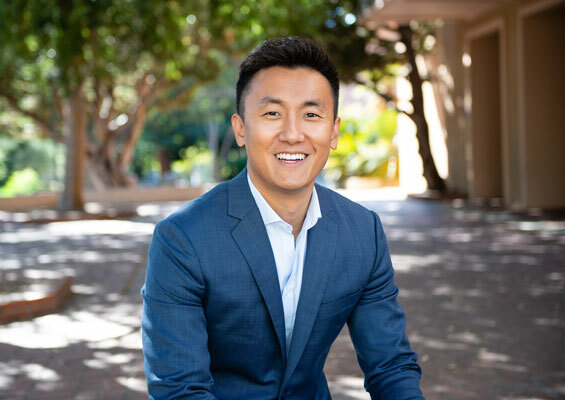 As executive director of strategic programs for the Berkeley Haas Finance Group, William Rindfuss develops programs to complement the finance curriculum and expands partnerships with the finance community and alumni. His career includes working as head of credit risk management for JPMorgan Investment Bank and as a VP with Chase Manhattan. The activities organized by the Finance Club help members evaluate careers in finance, identify career opportunities, and connect them with alumni and other finance professionals. The club’s active calendar of events, created in partnership with other clubs, includes speakers, teach-ins, and workshops on topics from fintech to fixed income and financial modeling. It also organizes treks to firms such as Goldman Sachs, Morgan Stanley, and JPMorgan. The FinTech Club connects students with career opportunities and prepares them to succeed as leaders in the fintech space. Speakers hosted by the club address topics such as blockchain and fintech for good. The club treks to firms such as PayPal and Wealthfront. The Investment Club supports student interest in investment and financial analysis and facilitates their job searches in the investment management industry by fostering relationships with West Coast firms. The club holds its own annual stock pitch competition and sends teams to national competitions, including the Cornell Stock-Pick Challenge and the UNC Alpha Challenge. Students lead treks to firms in the Bay Area and Los Angeles and to Omaha to meet with Warren Buffet. The Private Equity Club offers professional development and exposes students to the industry, along the spectrum from growth equity to leveraged buyouts. It hosts speakers from Alpine Investors, Bain, Prudential, Softbank, and others. Club members compete in the annual Berkeley LBO competition and the club sends teams to competitions like the ABI Corporate Restructuring Case Competition and the Wharton LBO Competition. The Impact Investing Network offers student teams training on sourcing, evaluating, and conducting due diligence for double bottom line impact investing opportunities. The teams then compete to analyze and pitch these ventures to a panel of judges. Goldman Sachs, JPMorganChase, BlackRock, Morgan Stanley, Wellington, Parnassus, and Square are among the employers who recognize the value Berkeley MBA students and graduates have to offer. In-house finance departments at firms such as Amazon and Google also choose Berkeley MBAs for their knowledge and leadership abilities. You can leverage your coursework, experiential learning, and co-curricular activities along with the Berkeley Haas Alumni Network, and the Career Management Group in your pursuit of a career in finance. You benefit from workshops, treks to and visits from target firms, networking events, easy access to alumni and other professionals, and on-campus interviewing. "Haas has helped me realize that I want my next chapter to be in finance, specifically in banking. Haas is already helping me gain both the skills and network to make this shift successfully. Fellow students have shared resources on how to get from point A to point B, they've introduced me to professors who can connect me with summer internships, and they've advised me on the clubs to join to improve my exposure to finance opportunities."